This seed can be made to look like ivory. So could it save the elephant? Tagua may look like ivory but it’s unlikely to replace it entirely. China’s landmark decision to ban the ivory trade in 2017 has been hailed a “game-changer” for Africa’s endangered elephants. But there could be another potential savior – a seed from the South American rainforest. Large-scale poaching to supply the illegal global ivory trade claims the lives of around 20,000 elephants annually. And if poaching continues at current rates, it could spell the end of the world’s largest land mammal. Tagua seeds, also known as “vegetable ivory”, are an off-white colour and can be carved and turned into ornaments and jewellery much like elephant ivory. 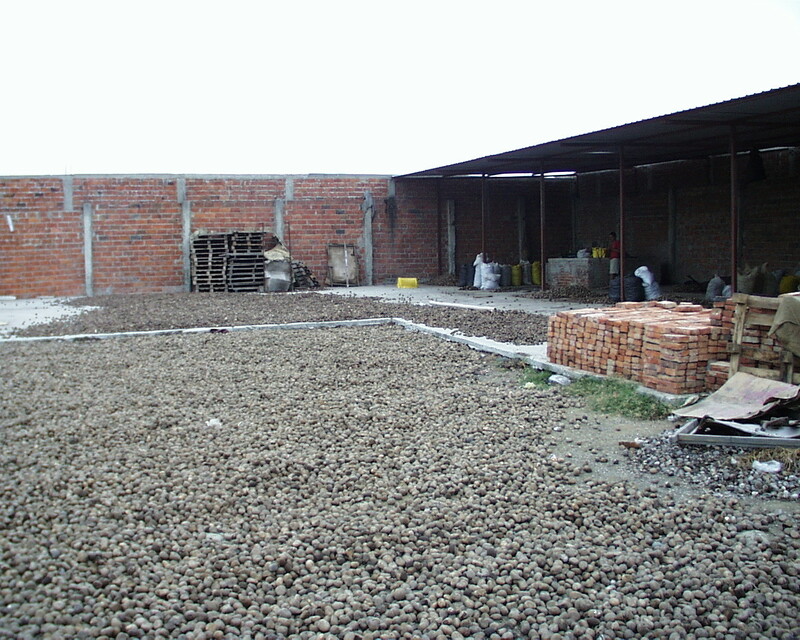 The seeds, or nuts, come from the tagua palm, which grows in the South American rainforest, and vary from grape to tomato size. Left to dry, they become incredibly hard, and can be carved and polished. And sales are booming. Onno Heerma van Voss runs a furniture and jewellery export business from Quito, Ecuador, and says that demand for the nut has never been greater. His company, Naya Nayon, exports tagua seeds wholesale, but also employs local artisans who turn them into trinkets and jewellery. Heerma van Voss told the BBC that he now sells US$200,000 worth of tagua per year that he buys from farmers. The seeds are shipped to 70 countries, including China, Japan and Singapore, and he is hopeful that the Chinese ban will increase sales further as tagua grows in popularity as an alternative to ivory. Ecuador exports close to US$5 million worth of tagua each year, and sales have been increasing by 15% year on year. It is predicted this figure will reach $7 million by 2020. Heerma van Voss jokes that he is a “forced ecologist”, who began exporting the nut as a result of demand, but nonetheless says that he is happy to be saving elephants. But it’s not just elephants that are being conserved – South American rainforests are unharmed by the harvesting of the seed, according to the company. Tagua may look like ivory but it’s unlikely to replace it entirely, according to Kelvin Chiu, a general manager at Yee Fung Hong, a Chinese company that manufactures buttons and carvings from tagua. Unlike ivory, tagua is not considered exotic and exclusive. There is also a limit to what can be carved from tagua seeds because they are smaller than elephant tusks. That said, Chiu wants China to lower its import tax on tagua to help increase its popularity in the country. He believes that mindsets are changing in China, the world’s biggest ivory export market: “We believe China’s wealthy consumers are becoming more conscious about green fashion. Heerma van Voss says he expects the market for tagua to continue to grow: “I think tagua will grow into prominence. The growth in five years might be anything between steady growth and explosive growth.